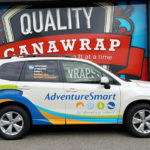 Over the past few years, investing in a car wrap has proven beneficial for businesses in many ways. The impressions and customer reach has been impressive, with business owners getting more and more creative with their designs. 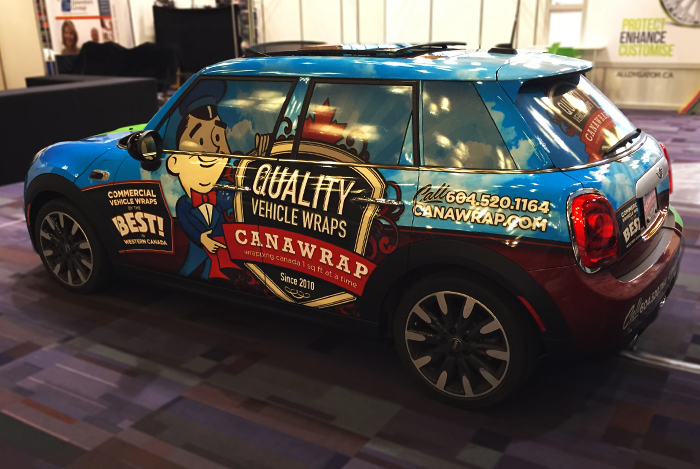 Like any other industry, car wrapping sees its fair share of trends. Taking advantage of upcoming trends is an important way to make sure your business stands out from your competition. Here are 2 of the latest car wrapping trends for 2018! Designers are getting more and more experimental and texture wrapping is proving to have a huge visual impact while gaining increasing popularity. Texture wrapping adds a more personalized look to your vehicle. It takes visual textures such as brushed metal, riveted steel, carbon fiber, wood grain or even leather and adds it to the finishing of the wrap to give it that textured effect. Single color matte wraps were trending in 2017 and while they are still relevant today, there’s been a significant lean towards color shifting wraps in 2018. These are color changing vinyl wraps that come in a gloss or matte finish. With color shifting vinyl wrapping, you get the quality of a brand new multi-tone paint job, applied to your vehicle, without the time or expense of an actual paint job. By having vinyl applied to your vehicle can actually protect the body from scratches and pollutants in comparison to paint, giving you a higher resale value, when the time comes. Keeping up to date with the current trends in vehicle wrapping is important for you to stand out from competitors. But at the end of the day, you’ll need to make sure that whatever trend you do decide to follow, the vehicle wrap you choose has to work for your brand and your brand’s image. No matter what texture, finish, or color enhancement you apply to your vehicle the most important factor of your vehicle wrap is that it compliments your brand.